I do most of the cooking in our house. Probably because I enjoy it more than Alex does? (I think that is mostly how we divvy up chores in our house–who has the most time to do it, and who hates doing it the least). 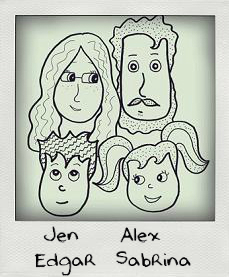 But Alex will cook if I am sick or gone or if I ask him to. But he would rather not. 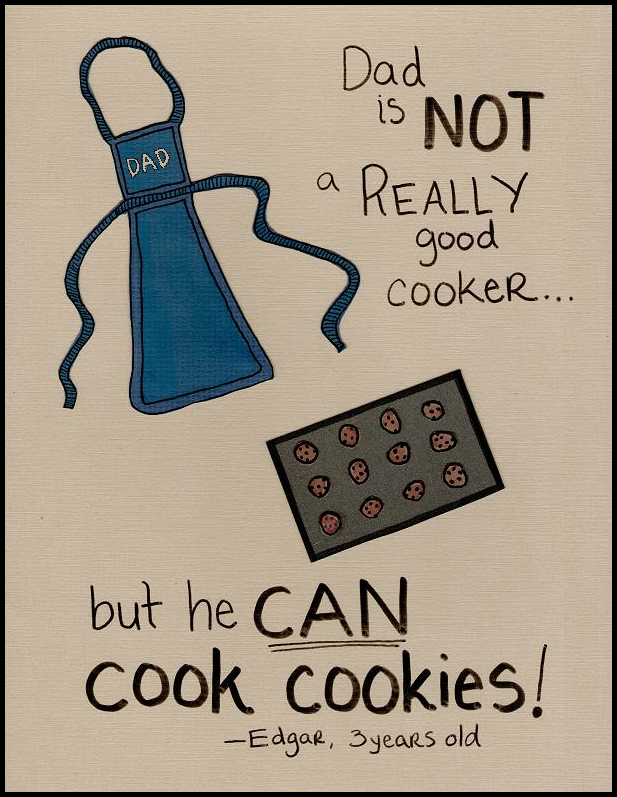 But, like Edgar noted, he CAN cook cookies! Who cooks the most in your family? 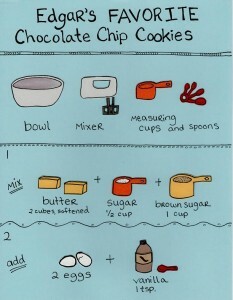 Check out Edgar’s Favorite Chocolate Chip Recipe–illustrated!